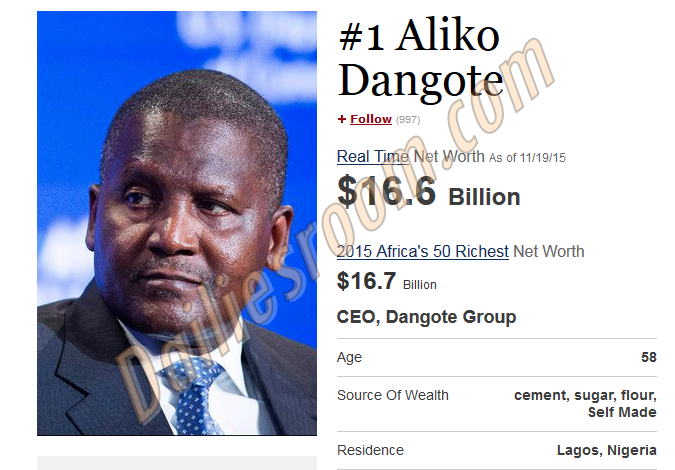 In our previous article we wrote about the top 50 African Richest People and leter we cut the list to to 20 and now we will be showing you all the details you need to know about the Top 15 Richest People In Africa that was Recently Release by Forbes. Not quit long when Forbes release their African Richest People new update where ten Nigeria make the amazing list. so like we said eaily that in this list we will be showing the Top 15 Richest People In Africa in a table with their details.